Chris P Tee is the Children's Entertainer in Gloucestershire that you are looking for. 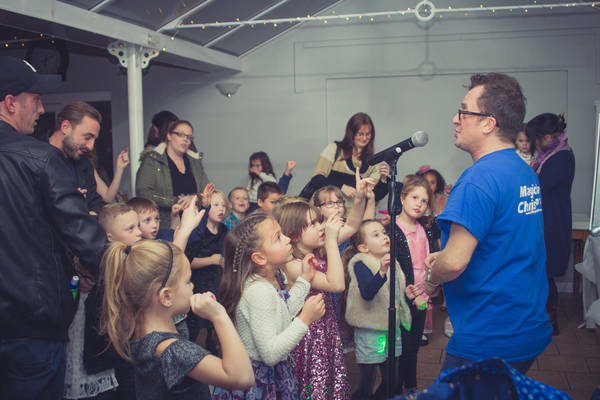 Performing his Comedy Magic Show and Mini Disco for Children of all ages and their families, he has become the must have Kid's Magician for all events. 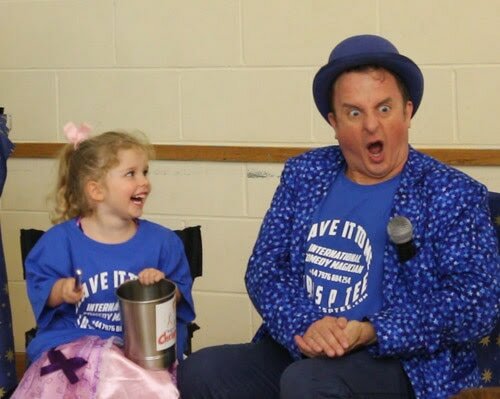 Mixing Comedy, Slapstick, Stage Magic and Close up, Chris P Tee gives the Children a chance to be the Magic as they are the ones who make it happen. With the Birthday Child being the Star of the Show. From a Party in your Home to the Village Hall, Hotel or Nearest Manor House (Lot's of those in Gloucestershire) he can fill the room with the sound of Children's Laughter, while entertaining the Parents too. Traditional Birthday Parties in Cheltenham. Home Parties and Family Gatherings. With a Bose Mini Disco with Lights, it's a great way to have everyone entertained by a true professional performer. Call Chris P Tee Entertainments on 01454 858586 or Text 07976884254 for availability and a Quote.